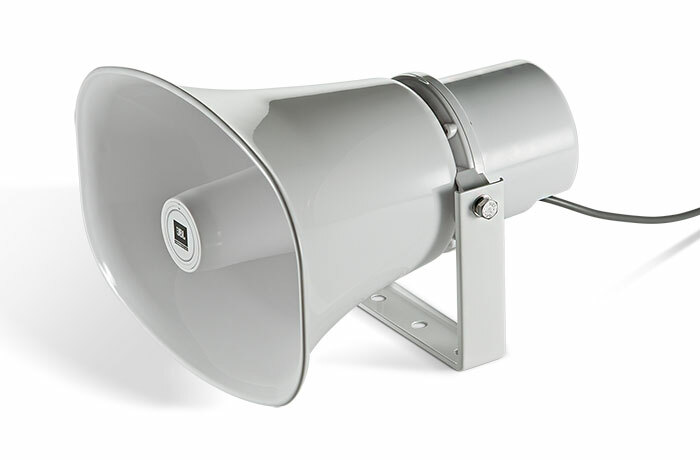 The Commercial Solutions Series CSS-H30 Paging Horn provides excellent voice range clarity for public address systems, announcement/paging, intercom, security, alarm and industrial applications. 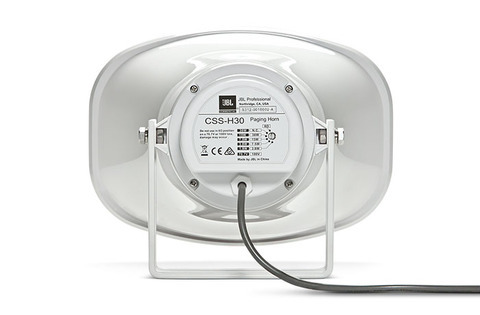 Designed for demanding environmental conditions, the CSS-H30 is highly weather resistant (IP-65 rated) so it can be used in either indoor or outdoor applications. 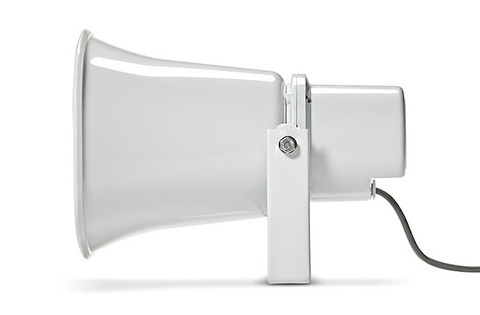 The focused coverage pattern allows the horn to project the sound a farther distance than is the case with wider-coverage paging horns. Typical applications for this product are public access areas, warehouses, factories, schools, recreational facilities, commercial buildings, distribution centers, civic centers, and other commercial sound and protectivesignaling systems. Excellent voice range clarity for announcement and paging. High sensitivity delivers high sound levels with minimal power amplification. Focused 50° horizontal by 70° vertical coverage for long throw capability. Phenolic diaphragm driver for outdoor durability and high reliability. UL-registered 30-watt multi-tap transformer, with 8 ohm direct bypass. 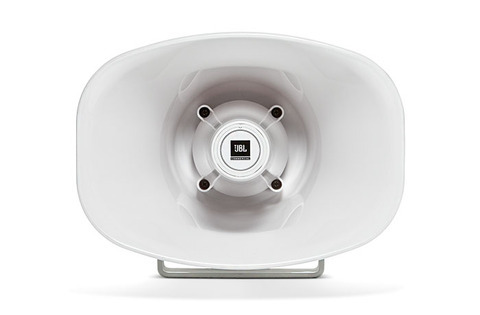 Built-in high-pass filter enhances reliability by protecting against low frequency damage. Highly weather-resistant, with stainless steel bracket and hardware. Safety Agency Certifications Transformer UL registered per UL1876 "Isolating signal and feedback transformers for use in electronic equipment"